Almost forgot to make mention of the worst ad I think I've ever seen. 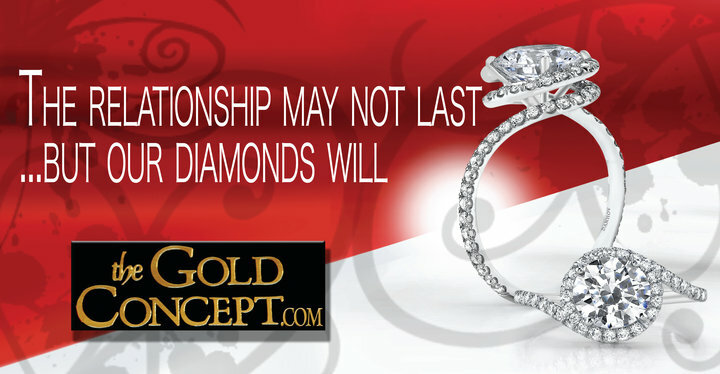 This one is for a local jewelry store and I spotted it on a billboard in our town. On my way to my friend's wedding I might add. Edgy? Perhaps - but completely counterproductive to trying to sell people their product. Bad publicity is also publicity; it apparently succeeded to catch your attention... Fiona Apple once wrote “I don't understand about diamonds and why men buy them. What's so impressive about a diamond except the mining”. Being an ex-geophysicist I completely concur. Yep, caught my attention, but put the store in a negative light in my mind. I'm with you on the diamond thing. Most people don't know that diamonds in wedding rings didn't become popular until the 1940s.